Come to Over Farm during the Easter holidays to take part in our children’s Easter trail. It’s fun for all the family. Our trail will take you on a short walk around the farm in search of the Easter bunny’s giant eggs. There’s a small prize in store, if you can crack the trail. Make sure you look out for our friendly animals along the way and don’t forget your wellies! Trail cost: £5 per participating child (includes trail, animal food and a prize). There’s no need to book – just turn up and why not stop for lunch in our tea room whilst you are here? Please bring along a pen or pencil to complete the trail. The trail will take approximately one hour to complete (depending on how quickly you walk!). Friendly dogs are allowed at the farm, as long as they are on leads and you clean up after them. Please wash your hands after feeding and touching the farm’s animals. *Last admission is 5pm from Monday to Saturday and 4pm on Sundays, so you have enough time to collect your prize from the farm shop, before it closes. 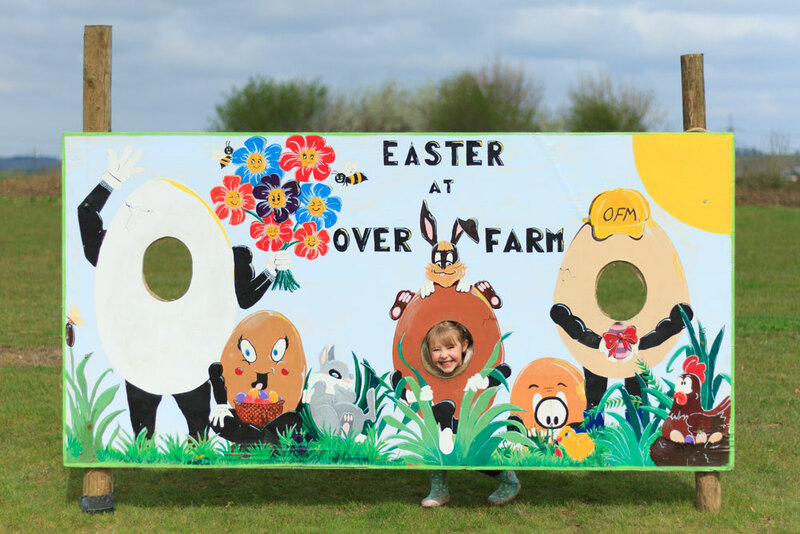 Alongside the Easter trail, the inflatable theme is also back at Over Farm for the holidays, featuring over 15 attractions! 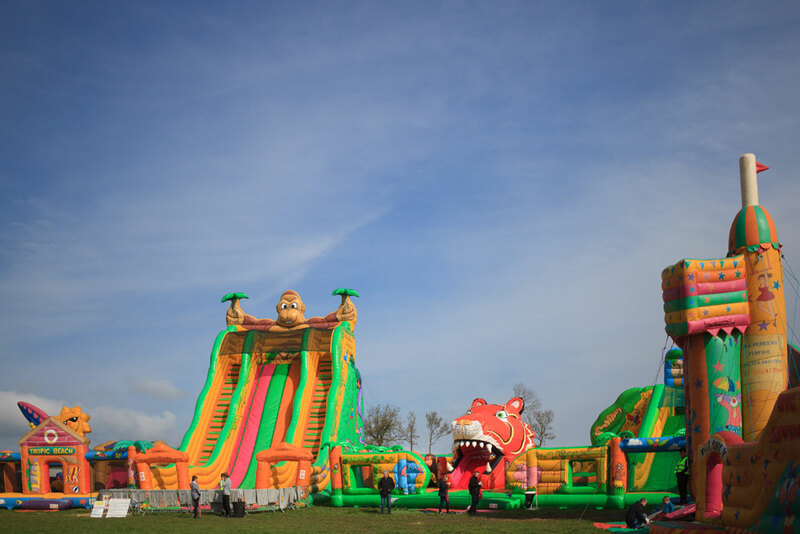 An all day, unlimited wristband for the inflatable attractions is £8 per child (strictly 2-14 year olds only). Accompanying adult entry to the theme park area is free. Please note that the wristband is not valid for fairground attractions and the Last Man Standing attraction. The inflatable theme park is ran by AJP Amusements, not Over Farm. For all the latest information, including closures in the event of bad weather, please check AJP Amusement’s Facebook page. It is advisable to check this page on the morning of your visit. Sign up for all the latest news and special offers.